All you members of the Merry Marvel Marching Society need to stand at attention! 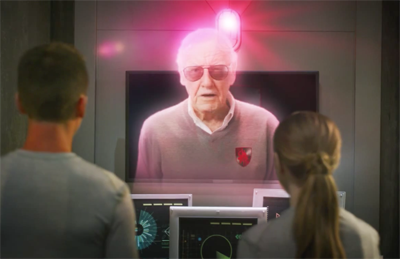 Stan Lee — the co-creator of Spider-Man, X-Men and The Fantastic Four — has a new group of meta-humans that he and his POW! Entertainment are bringing to you in the new short film Call to Heroes, which you can check out in full below! In this action-packed superhero short featuring comic book legend Stan Lee, teenage siblings are left homeless after the worst superhuman terror attack in history. But they have one last chance for survival — The Forge Academy — the most prestigious superhuman training institution in the world. Produced by actors Nathan Moore (Jem and the Holograms) and Lana McKissack (best known as the little girl in Robert Rodriguez’s segment The Misbehavers from Four Rooms) and directed by John Wynn (Screwed), Call to Heroes stars Grant Jordan, Courtney Grosbeck, McKissack, Moore and Maurice Whitfield.